Dakota Dental Health Center offers dental implants in Minot, ND. Call 701-852-4755 to learn more and schedule your appointment. Dental implants are strong, durable, and stable, making them the gold standard for replacing missing teeth. They restore nearly all bite strength and they replace the tooth roots, reversing the natural jawbone loss that occurs in those who wear dentures. Nearly anyone can become a candidate for dental implants. Underlying medical conditions such as high blood pressure or diabetes can raise the risks of oral surgery, so they must be under tight control. Dental implants must be placed in a healthy mouth, so other dental work such as fillings or root canals must be completed first. Those with severe jawbone loss may need bone grafting. 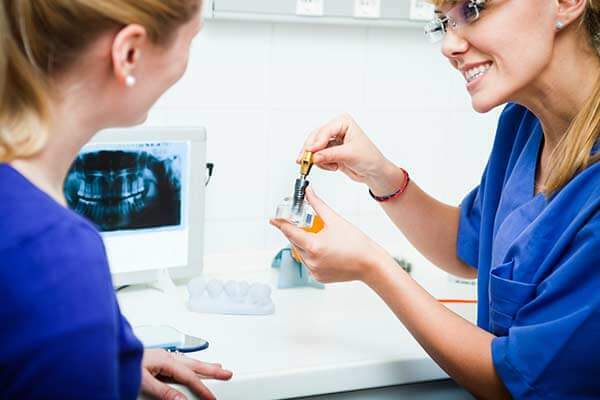 Within these parameters, though, dental implants can be the right choice for almost anyone. 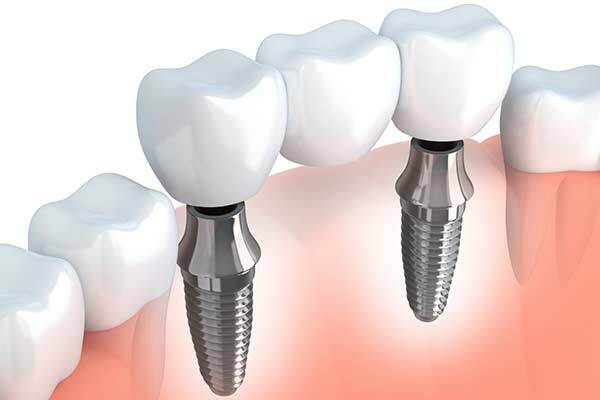 If you are missing one tooth, a single dental implant can support one crown. In this minor surgery, we will place a tiny sliver of biocompatible titanium into your jawbone and top it with a healing cap or a cover screw. You will heal for several weeks to allow the implant to fuse with your bone. 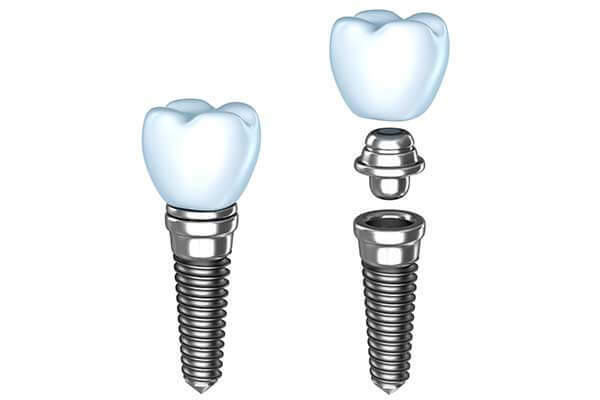 We will then remove the cap or screw and attach an abutment to lock the implant to a custom-crafted crown. Those who are missing three or more teeth in a row can benefit from an implant supported bridge. 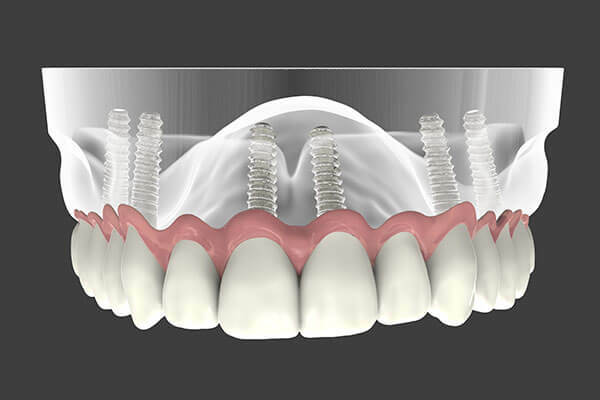 Instead of disturbing the adjacent natural teeth, we will secure each end of the bridge to a dental implant for a highly functional and aesthetic restoration. 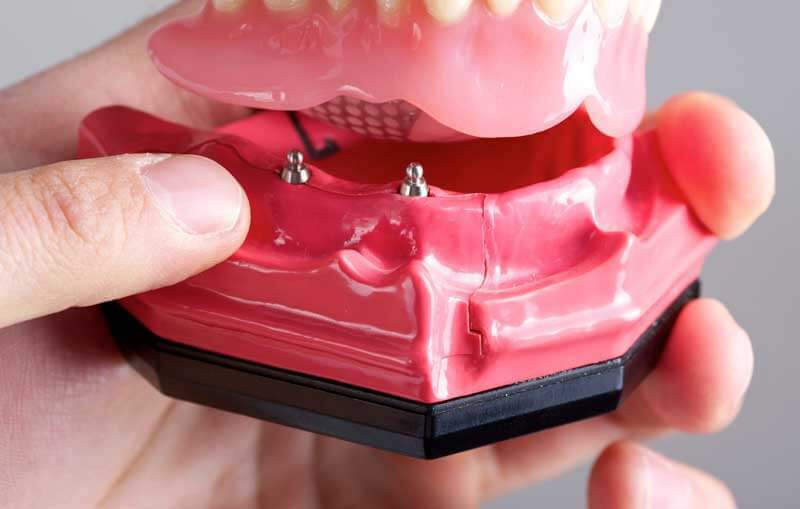 We can place just two implants to stabilize a removable denture, or a handful of implants to secure a fixed arch of teeth that never come out of your mouth. Either way, this is a major improvement over traditional dentures, which tend to pinch and slip. 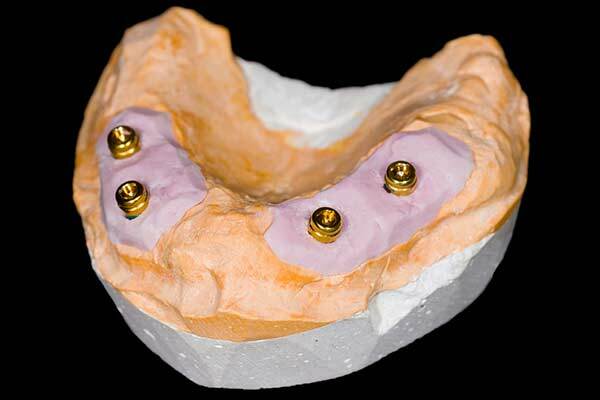 Implant supported dentures restore virtually all bite strength, while traditional dentures restore only a fraction. If you have a small jaw, are lacking space between your natural teeth, or simply do not want to wait several months for traditional implants to heal, mini dental implants may be a better solution. As the name suggests, MDIs are much smaller than traditional dental implants. MDIs require a minimally invasive procedure that rarely needs sutures. In addition, it is often possible to place your final restoration on the same day as your mini dental implants. We combine our experience and clinical skills with such high-tech tools as 3-D cone beam scanning and virtual treatment planning. We will design an individualized implant placement map, ensuring that each implant is precisely positioned and located to optimize aesthetics, function and longevity. Call 701-852-4755 to schedule your appointment.